The work process Tindo retains is highly creative, and a result-oriented one. The image stands as a brief portrayal of illustrative, and iterative web development process we maintain to accomplish our business gigs. 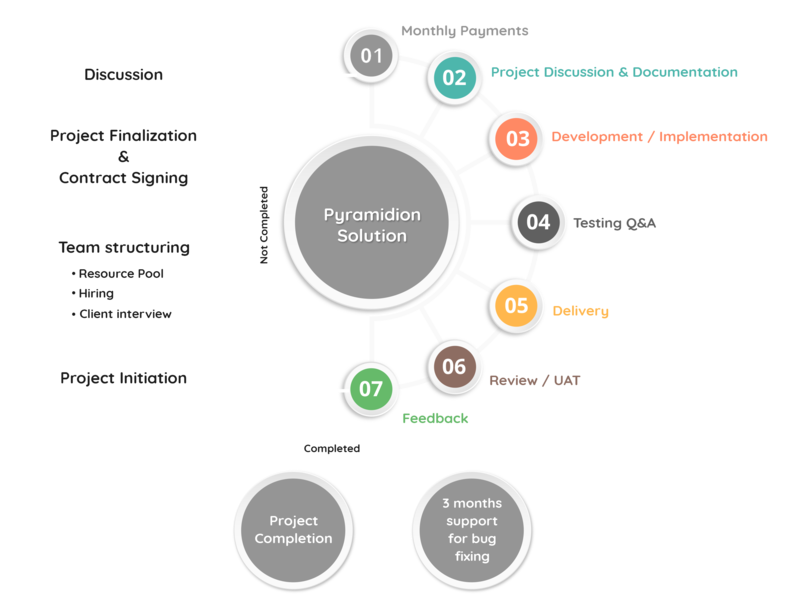 This workflow diagram is only a minor representation, we execute more a detailed process to turn our projects into reality. Tindo nourishes an enhanced tracking system, and an exemplary live chat option to back all our products and services. A dedicated staff member will always be accessible.